In just a few weeks (02.-07.August 2015), the Nantahala River will welcome the Worlds fastest junior and under 23 whitewater paddlers to Western North Carolina for a competition that could crown them World Champion. 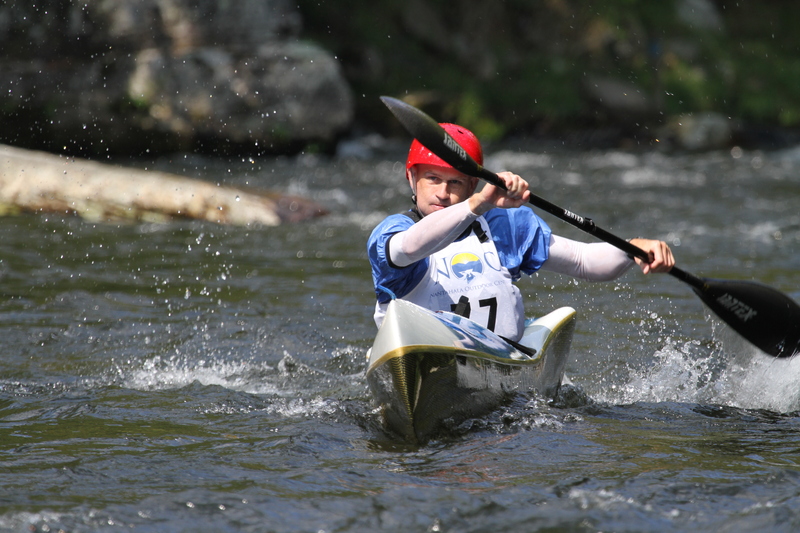 Welcome to the International Canoe Federation Wildwater Canoeing Junior and Under 23 World Championships! Unlike racing down spectacularly difficult whitewater like the Green Race, wildwater racing takes place in a more controlled environment, but the racers use specially designed canoes and kayaks that are built for speed rather than stability or ease of use. The long pointy boats are made of exotic composite space age materials and weigh next to nothing but run the risk of damage with a high speed impact with a poorly positioned rock. The boats don’t turn much either, so the game is to find the fastest ribbon of water you can while powering thru the pools and rapids. Think of downhill mountain biking in a river. You choose your own route thru the technical terrain while relying on your tremendous fitness and technical abilities to maximize your speed at all time. The 140 young athletes from 15 nations across the Globe will compete is several different races. 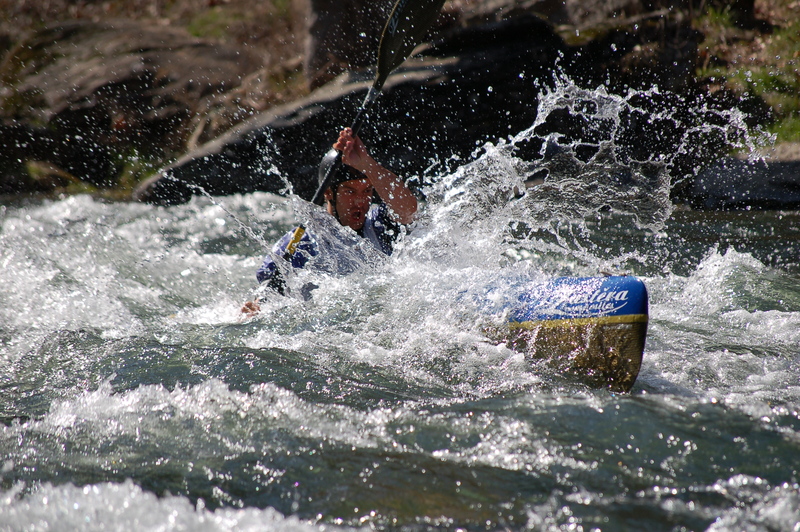 The long race is known as the “classic” and starts at the Nantahala’s famous Surfing Rapid. A strong recreational paddler will take an hour to paddle from here to the take out at the Nantahala Outdoor Center, but these incredible athletes will do it in as little as 12 minutes. They will also race in a short “sprint” style race thru the rivers most difficult rapid, Nantahala Falls. From here to the same finish line at the NOC will take a scant 70 seconds with speeds nearing 20 miles an hour thru the steepest sections of the Falls. With no mandatory moves and the ability to choose your own path, its a simple game of the fastest time wins. The Nantahala river, Nantahala Outdoor Center and the Nantahala Racing Club have a long history with this esoteric sport and has been the home training ground for some of the sports elite. NOC’s former President, Bunny Jones won a gold medal with employee Mike Hipster in the mixed C2 at the 1981 World Championships in Bala, Wales and that same environment has produced multiple National Champions, National Team Members, World Cup and World Championships level athletes ever since, but these accomplishments are often over shadowed by the rivers Olympic connections. For me, bringing the World Championships to the Nantahala feels a little like the final chapter in my own wildwater journey. This is where I learned the sport and took the beatings that came with it. It’s where I trained diligently for nearly two decades over which time I have amassed more training and race runs that I care to count. It’s where I prepared for my own efforts on the international World Cup and World Championships stage and it’s also the place where many lasting friendships have been built over lactic induced workouts. It’s also where I will now get to share this incredible place with 140 young athletes from 15 nations around the World.